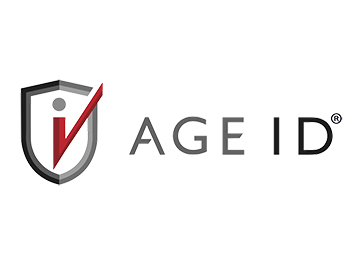 Intellicheck, which specializes in identification authentication solutions, announced a partnership with the Massachusetts Package Stores Association to make Age ID available to its hundreds of members throughout the state. Age ID authenticates driver licenses and other forms of identification to prevent the use of altered and fake IDs when making age restricted product purchases. Massachusetts Package Stores Association Executive Director and General Counsel Robert Mellion said fraudulent IDs are a serious problem. “The risks associated with fake IDs are about far more than legal and regulatory compliance. Our members are residents and neighbors in hundreds of communities across the state of Massachusetts. This is about the safety of our family and friends, too. Preventing underage access to alcoholic beverages has become extremely challenging because of the high-tech fake IDs that young people can so easily purchase. Our partnership with Intellicheck means we are providing our members with the ability to take advantage of the industry leading technology that will instantly and inexpensively catch these fake IDs and demonstrates just how seriously we take our responsibilities,” he said. The Massachusetts Package Stores Association represents the interests of family and independently-owned alcoholic beverage retailers across Massachusetts. The Association’s mission is to provide services to its members that are not available to them as individuals and to use the collective strength of its membership to address their issues and needs. Age ID authenticates IDs and verifies age information in real-time. Simple to adopt and deploy, Age ID is easily implemented on mobile devices including smartphones and tablets and can be integrated with point-of-sale solutions. The cutting-edge technology solution draws on a comprehensive, proprietary database, updated on an ongoing basis, to ensure information is timely and accurate.